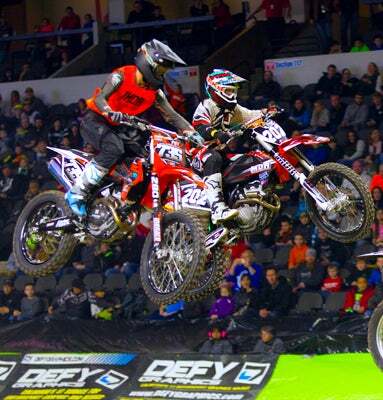 Cycle City Promotions announced the 2018-2019 Kicker Arenacross Winter Series schedule, beginning November 10th at the Lea County Event Center in Hobbs, New Mexico and commencing March 2nd at the Amarillo National Center in Amarillo, Texas. With the departure of the Amsoil Arenacross, the Kicker Arenacross has expanded to new cities and venues for the 2018-2019 version of its annual tour. Tickets for Kicker Arenacross at Greensboro Coliseum on Saturday, Feb, 9, 2019 are on sale now at www.ticketmaster.com and the Greensboro Coliseum box office.